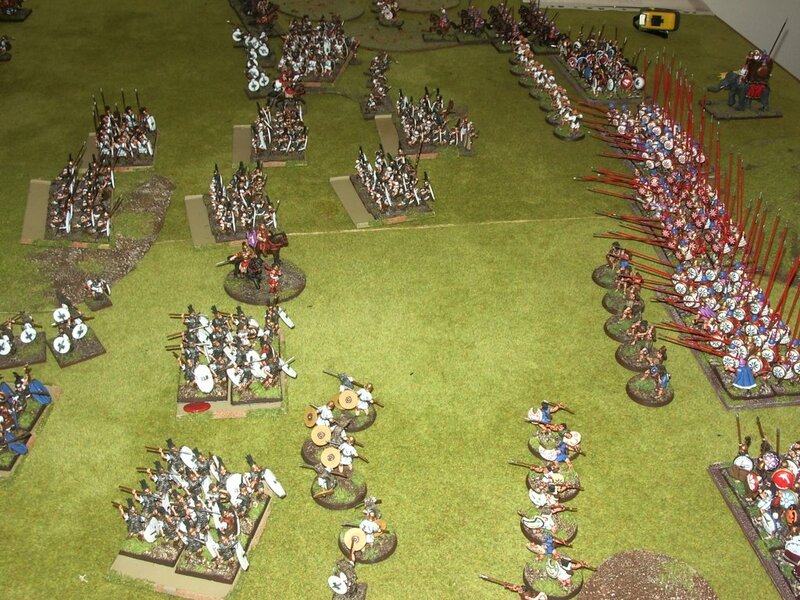 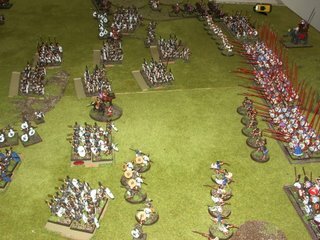 More pictures of Nathan and Andrew's Pyrrhus versus Rome game. 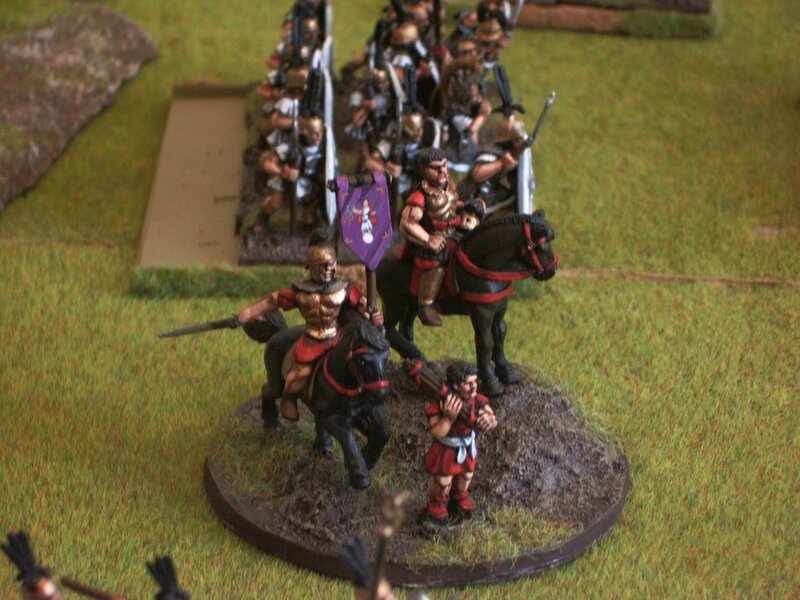 The new army list for the Epirote army written by Jeff Jonas and hopefully available next year are varied and a great army can be created that can give those hated Romans a run for their money. 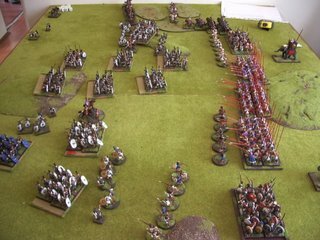 The new Roman lists in the Hannibal Supplement have gotten some criticism by some gamers (usually competition gamers), but I believe they force people to play the army the way it really fought (and I don't play competitions).